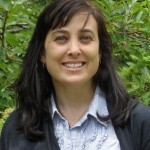 Alison Rose is Manager of Research Programs for the AgCenter. Alison has a Masters in Public Affairs with a focus in development from the Woodrow Wilson School at Princeton University. Most recently, she worked with the health team of the Millennium Villages Project. Prior to that, she worked at the UN Office of the Special Envoy for Tsunami Recovery, where she contributed to writing and research on a number of publications and materials, including a report by the UN Secretary-General on tsunami recovery, a study on aid equity in tsunami recovery in Sri Lanka, and an evaluation of NGO activities in tsunami recovery. She also worked at the Open Society Institute and NYU School of Law, where she was editor of a journal on legal, economic, and political issues in post-communist Eastern Europe.